According to Greg L, the question on many people's lips this week is whether the decision by Susan Boyle's publicists to use a certain twitter hashtag was a deliberate ploy. They were throwing a party to mark the release of Susan's new album of songs and decided that the following hashtag would be a good one to use. Which is fine as long as you remember that she's called Susan. 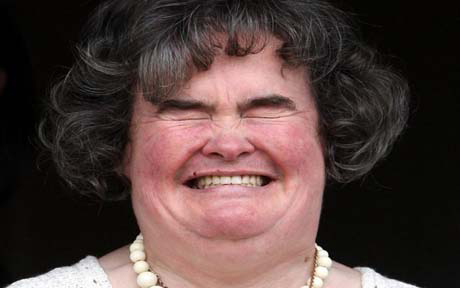 But those same publicists have already persuaded the public to refer to her as SuBo. So she's become Su. Now take another look at that hashtag. Whether that encouraged more people to come, ahem, we'll never know.